Five days have passed since Thais went to the polls for the first time since 2014, when military leaders seized power in a coup. Since then, the week has been filled with confusion, uncertainty, and anticipation for the final results to be announced. It remains unclear which party will be able to form a government. 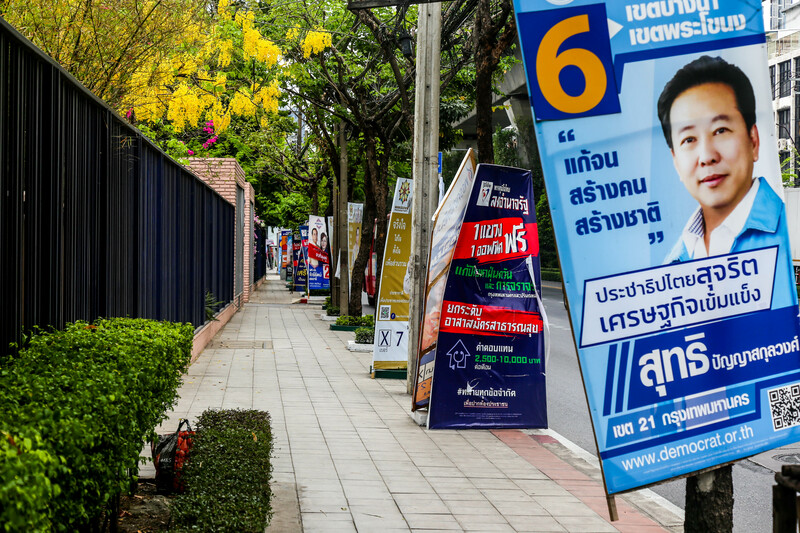 The long-awaited and delayed election, one of the most significant elections in Asia in the last five years, so far has brought more confusion than clarity. 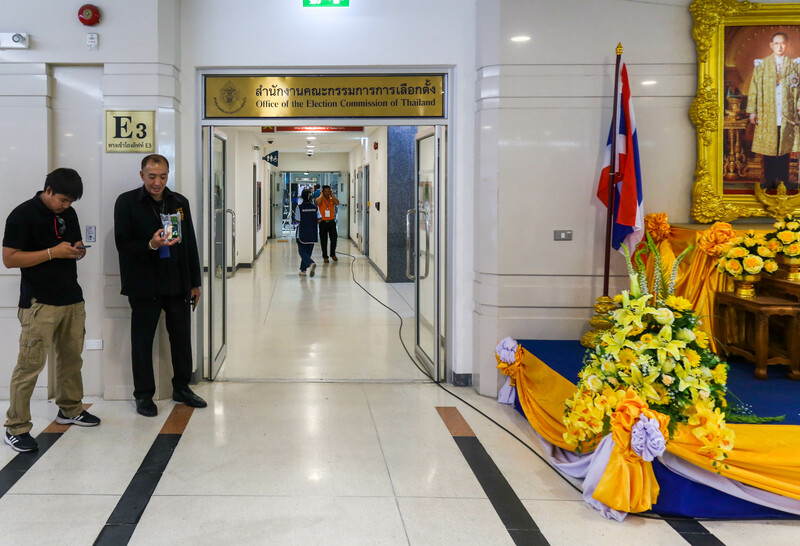 On Thursday, the vote count was released by the Thai Election Commission, which announced that the pro-military party of Palang Pracharath, headed by junta chief and leader of the 2014 coup Prayut Chan-O-cha, won with 8.4 million votes. Pheu Thai, the main opposition party, received 7.9 million followed by the new opposition party of Future Forward with 6 million. In a highly criticized and complicated system, the military is allowed to select 250 seats in the upper house. 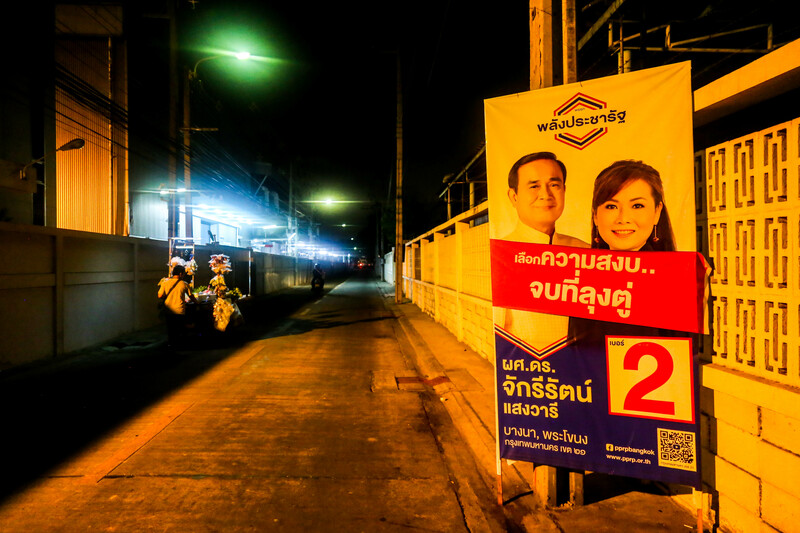 Even after an announced coalition on Wednesday between seven parties headed by Pheu Thai and Future Forward, it is still unclear if that will allow them to ultimately win control of government once official results are announced in early May. The vote has been highly criticized by international observers for numerous voting irregularities, more than 2 million votes being ruled invalid, numerous announcements and changes in the voting numbers announced, and little oversight in the voting procedures across the country. Former Prime Minister Thaksin Shinawatra, now in exile, criticized the vote this week but said he was pleased that the seven parties came to a consensus to create a coalition in an attempt to form a government. The close final voting count shows that this remains an unstable coalition, but the seven parties agreed that they will commit to their alliance until the formation of a new government sometime in May. 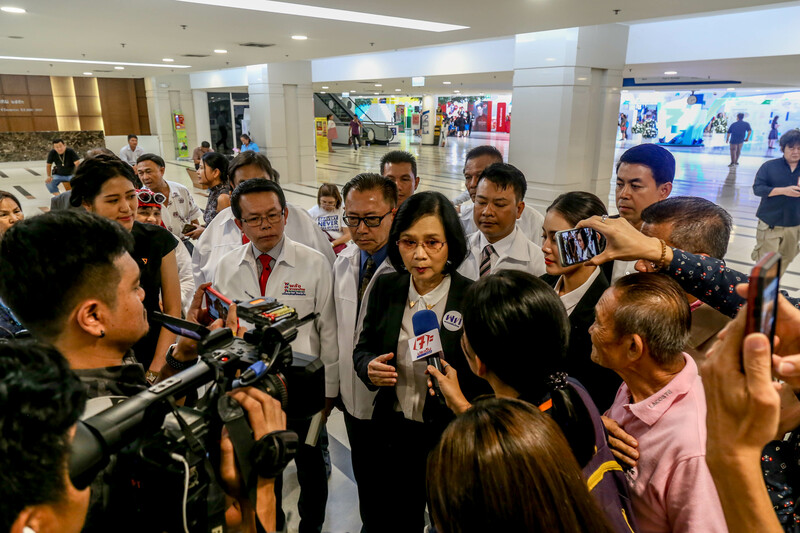 Sudarat Keyuraphan, leader of Pheu Thai, said this week that she thinks the coalition formed currently has 255 MP seats. 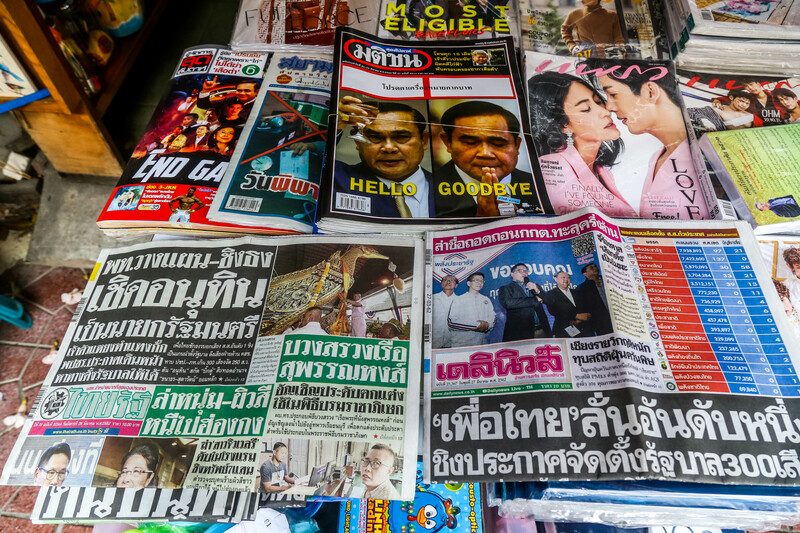 One thing is sure: in the coming weeks, there will be continued deadlock and stalemate as Pheu Thai and Palang Pracharath fight and peel off more votes from other parties. It remains to be seen what will transpire before the official election results are announced in early May. For now, Thais will continue to patiently wait for some clarity as to the country’s political path. Anti-regime political street art outside the well-known WTF gallery in Central Bangkok. 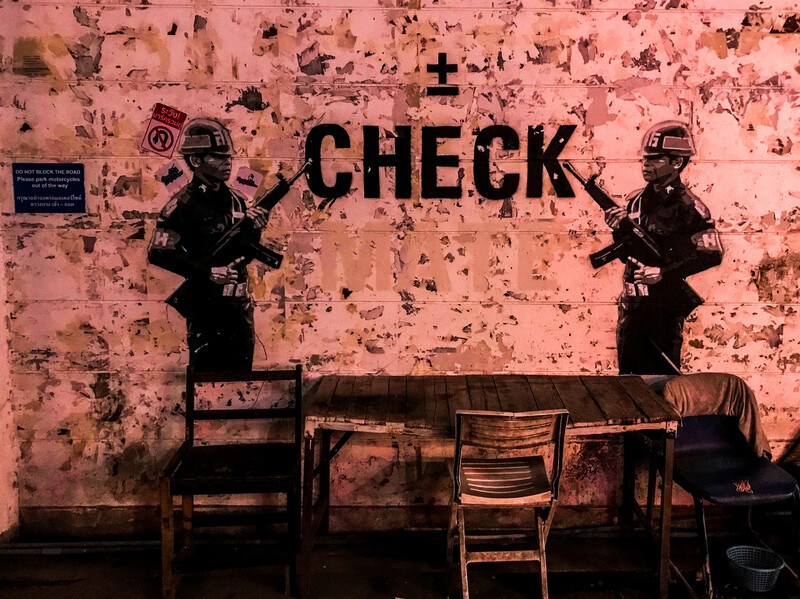 Headache Stencil, an artist who is known as Thailand’s Banksy, set up a controversial installation testing the boundaries of political expression. Depicted here is Thanathorn Juanroongruangkit, the leader of the Future Forward Party, which was third in the election result with over 6 million votes. Thousands of political banners line the streets in this fashion for the numerous parties running in this month’s election. 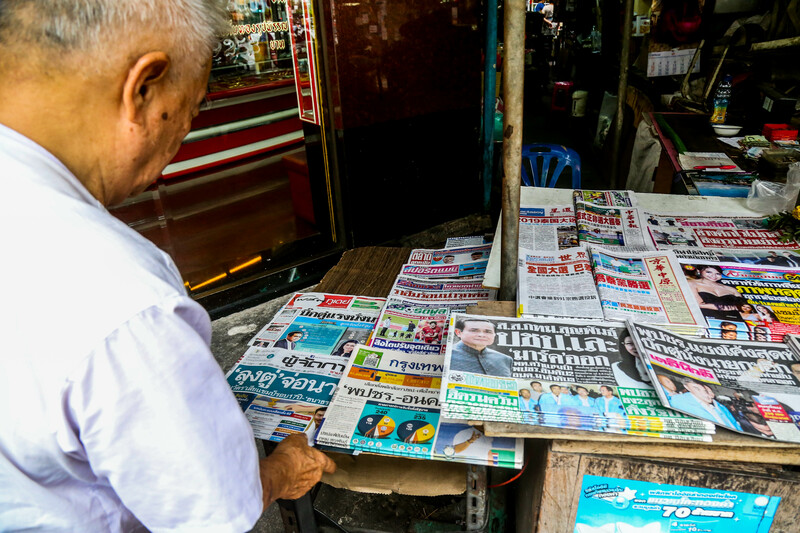 An elderly man at a newspaper stand browsing through the local press full of election coverage. A pro-army Palang Pracharat political banner on a small side street in central Bangkok. A selection of newspapers chock-full of election coverage as the country waits for the final results. Anti-regime political street art outside the well-known WTF gallery in Central Bangkok. 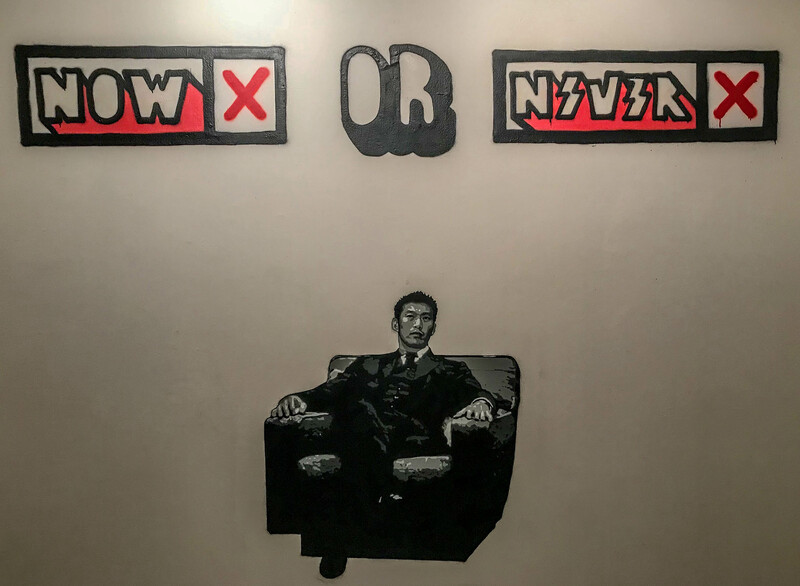 Headache Stencil, an artist who is known as Thailand’s “Banksy,” set up a controversial installation testing the boundaries of political expression. 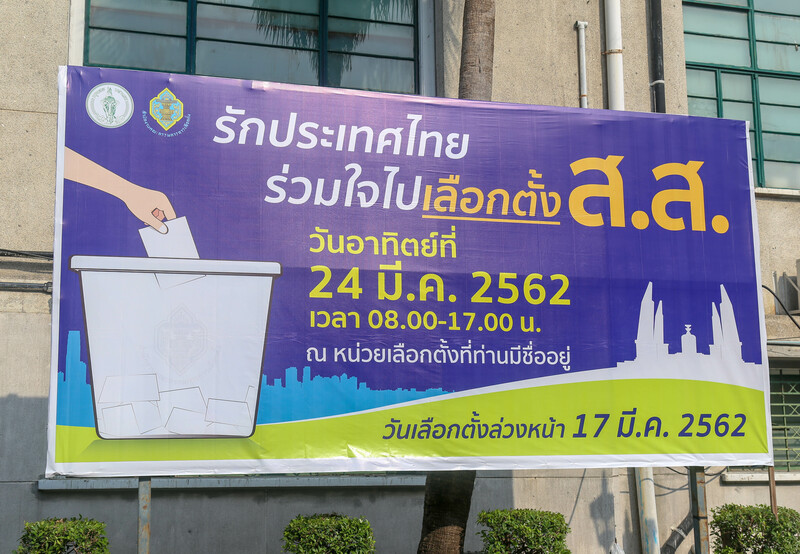 A banner in front of Bangkok's city hall encouraging people to vote on March 24. 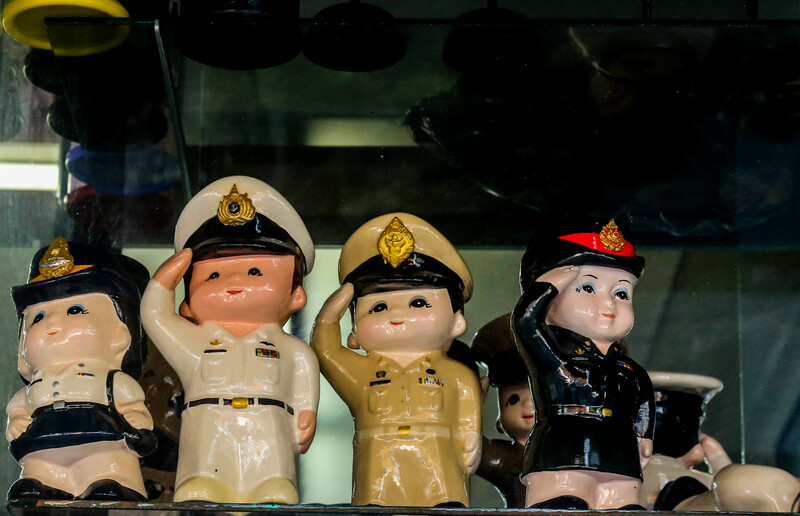 Relics glorifying the Thai military can be found in numerous shops around the city. 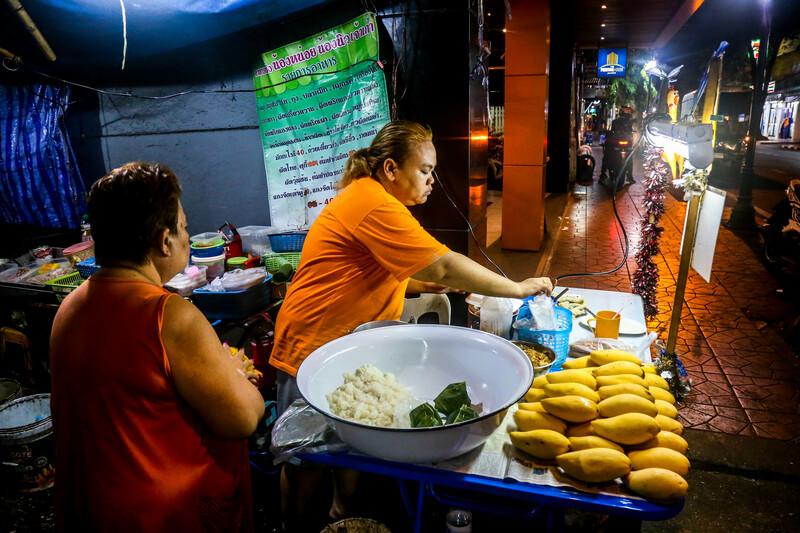 A typical Thai street food scene in Central Bangkok. 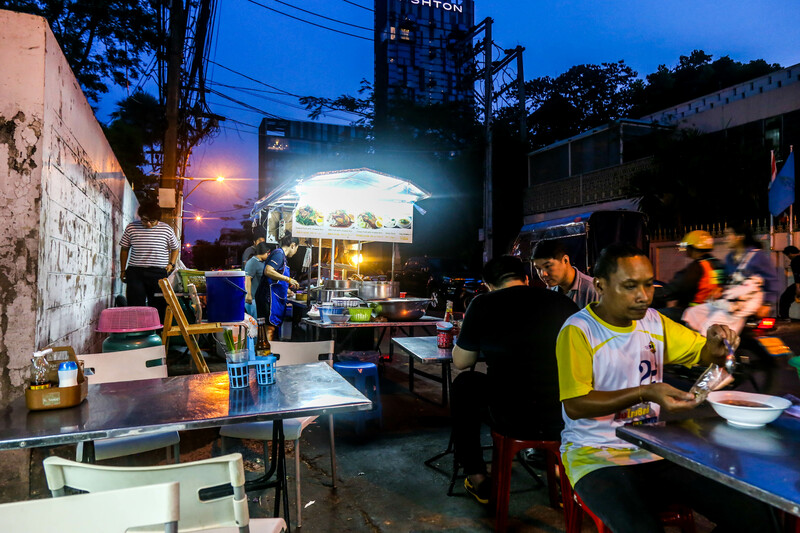 A street food ban implemented in 2018 has become a hot-button political issue. 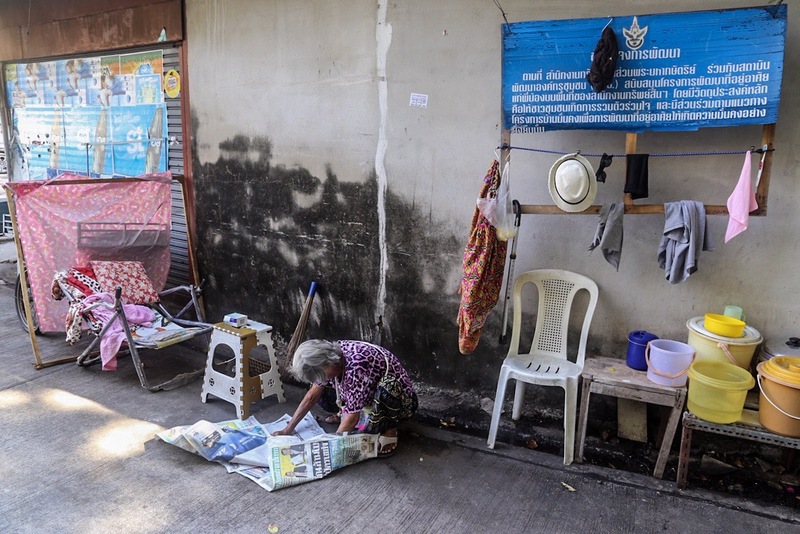 Although not fully enforced, Thai authorities ordered all street vendors off the pavement during the day. On Wednesday, March 27, in a press conference, seven parties announced at the Office of the Election Commission they would form a coalition in an attempt to put together enough seats for a majority. Everyone awaits the final results of the election at the Office of the Election Commission. The office has been widely criticized for delaying the results and putting out conflicting numbers during the week. 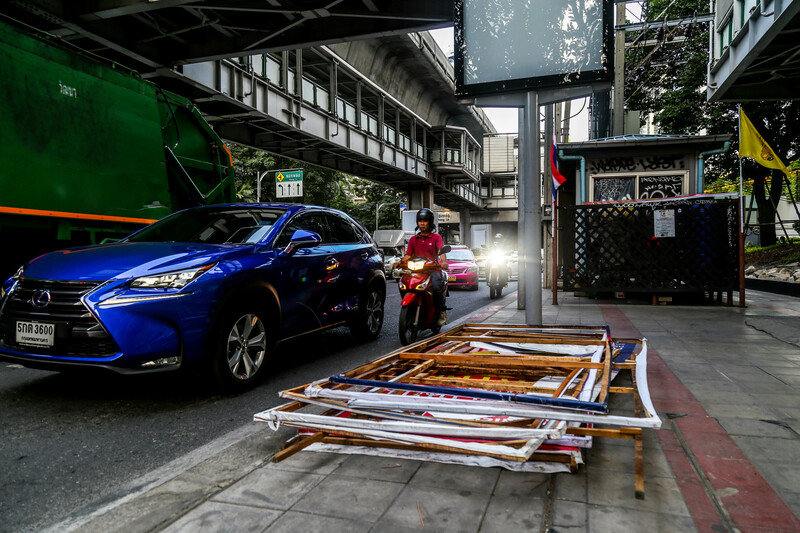 Two days after the election, political banners put up around the city have been quickly dismantled and discarded. 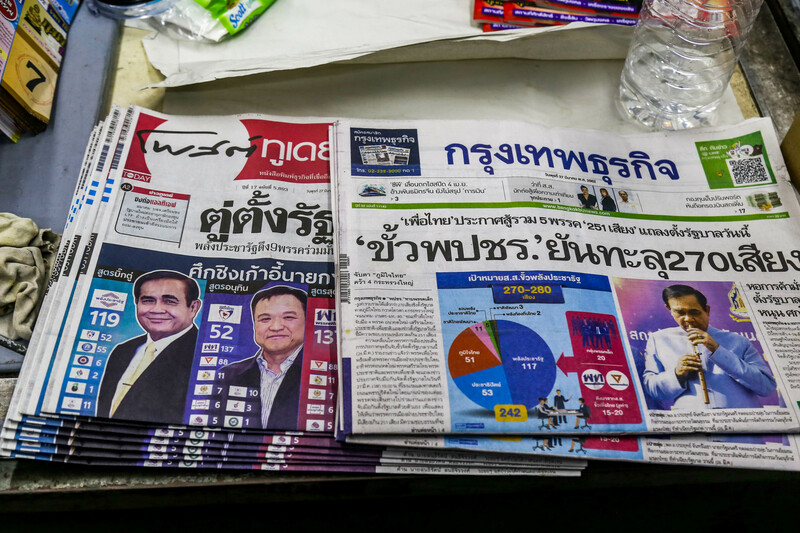 Thai newspapers showing the preliminary results of the election. Both the Palang Pracharat Party and the main opposition Pheu Thai Party have claimed victory. 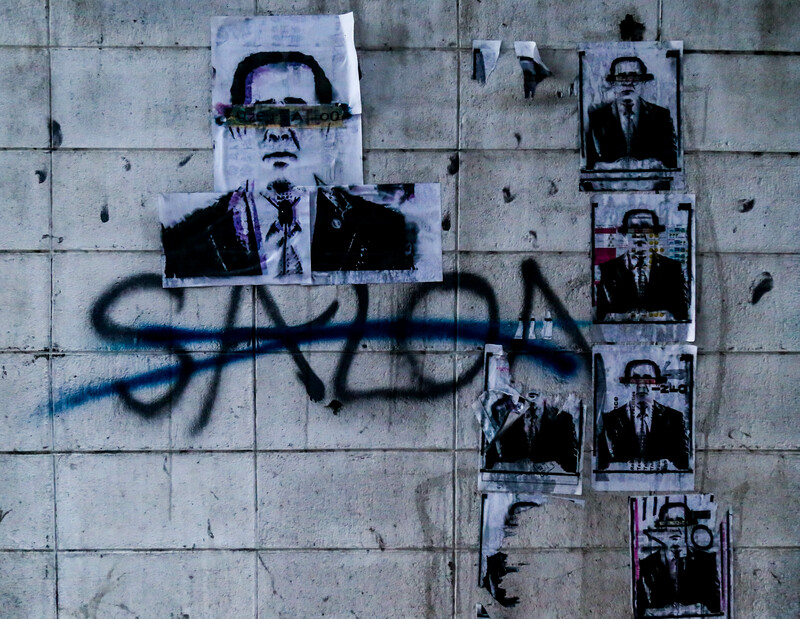 A picture of Prayut Chan-o-cha with his image crossed out in Central Bangkok. The leader of the Palang Pracharat Party, he aspires to remain the junta chief and prime minister after first coming to power during the 2014 coup. His party also claims they have won the right to form a government based on the election results, which put his party in the lead. Famous street art by artist MUEBON depicting the military regime with a message encouraging people to vote. 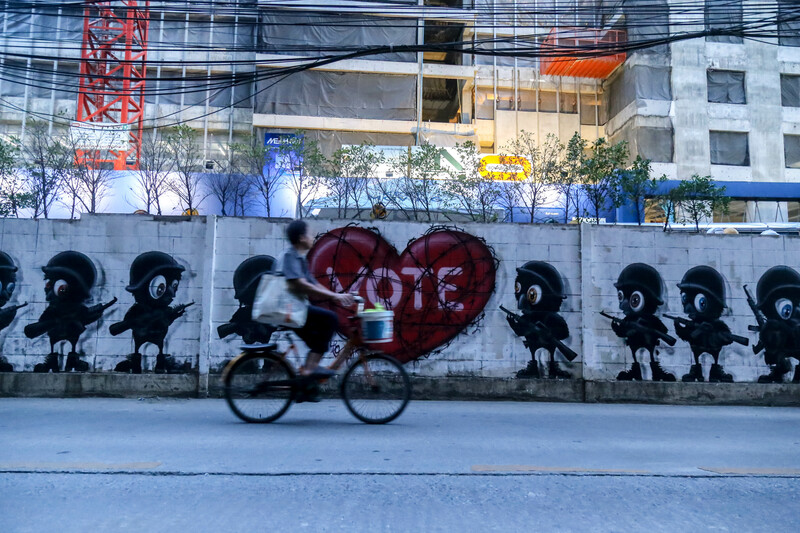 Anti-regime political street art on a side street in Bangkok. 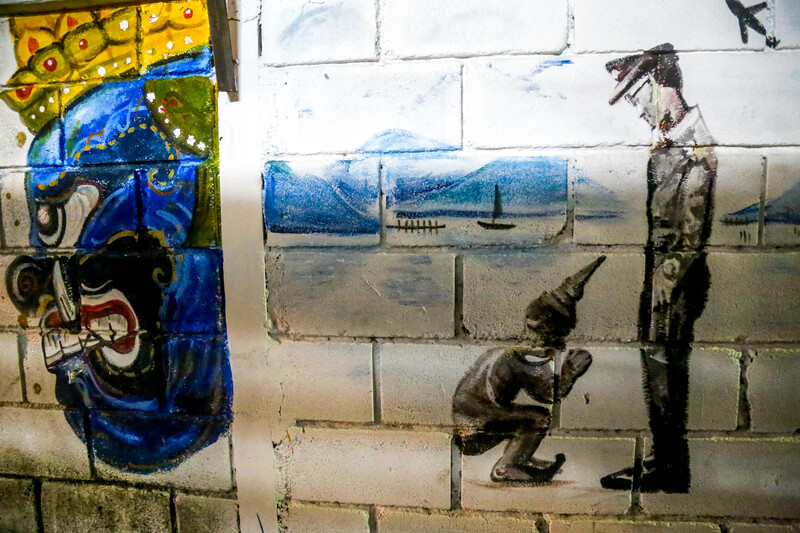 The city has experienced a boom in politically oriented art criticizing the regime. A typical Thai street food scene in Central Bangkok. 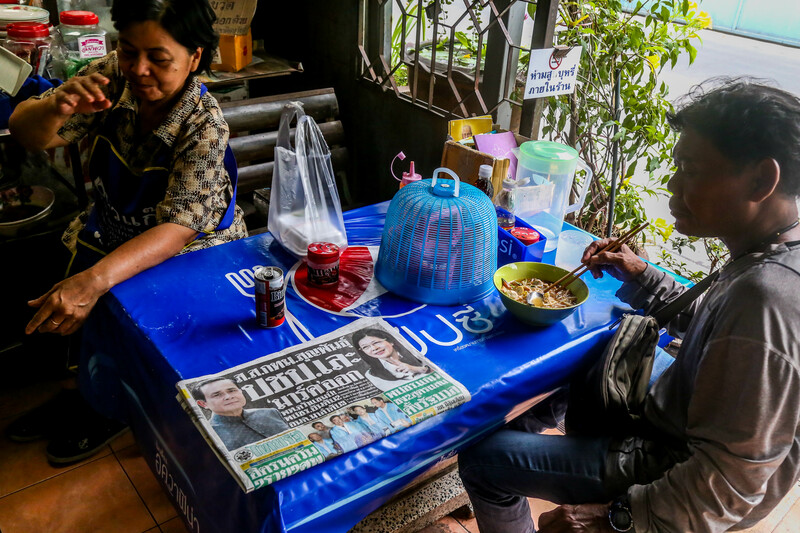 A man sits in a small shop eating noodles while reading the morning news the day after the election. An elderly woman intently reading a local newspaper about the election. 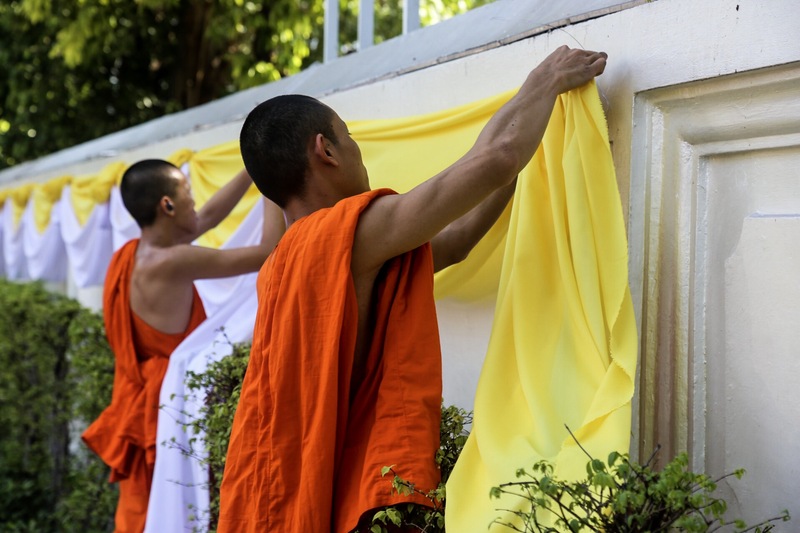 Monks hang up decorations outside the Golden Mountain Temple in Bangkok in preparation for the official coronation of Thailand's King Maha Vajiralongkorn on May 4. 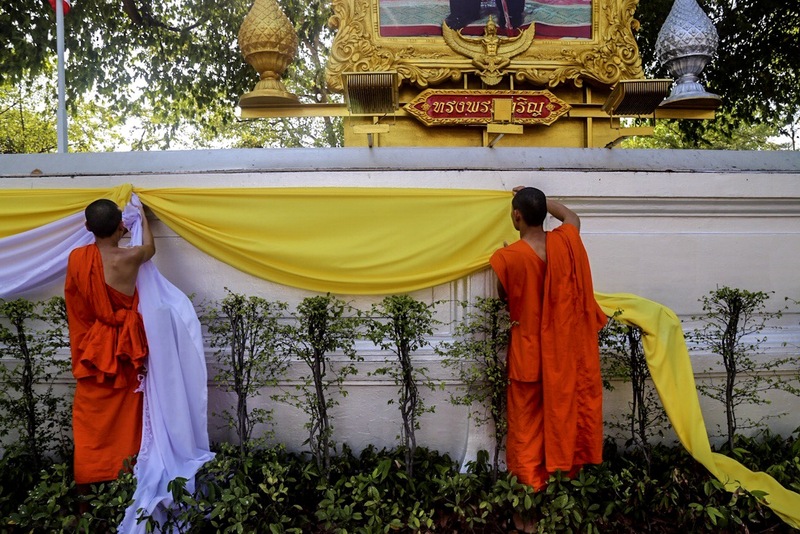 The coronation of King Maha Vajiralongkorn comes two years after he became king following the death of his father, King Bhumibol Adulyadej, at age 88 after ruling for seven decades. Official election results are also expected in the first week of May. Challenges and Opportunities in Negotiating Constitutional Reforms in Post-Election ThailandThailand's Junta Cracks Down on Thaksin's Pheu Thai PartyHow Thailand’s Ruling General Could Stay in the Prime Minister’s SeatIt’s Official: Thailand Has an Election DateIs Thailand’s Election Going to Be Delayed Yet Again?